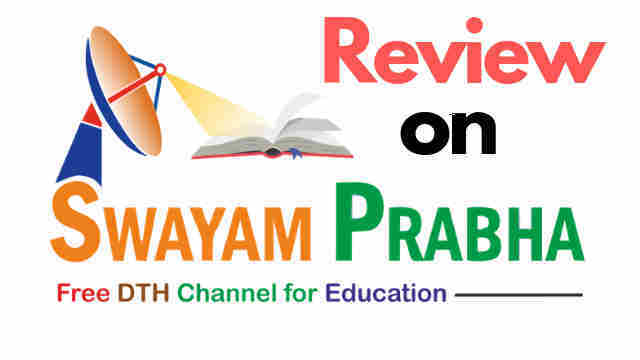 Swayam Prabha is a group of 32 educational channels started by Government by India in 2017. Here is the latest review on Swaym Prabha 32 DTH channels and SWAYAMPRABHA app. If you are a student then for good quality and full academic study material Swayam Prabha may, of course, help you in your exam preparation and for your bright carrier. Read the complete review of Swayam Prabha channel, Swayam Prabha website and Swayam Prabha app in this article. Swayamprabha has named for a group of 32 educational channels started in 2017 by the government of India. It was inaugurated by the former President of India Honorable Shree Pranab Mukherjee on date 07 July 2017. Swayam Prabha is devoted to telecasting quality educational programmes 24 hours a day, 7 days a week. How do Swayam Prabha 32 DTH Channels Work? For telecasting all 32 DTH channels, Swayam Prabha is using the GSAT-15 satellite. All the programmes telecasting on Swayamprabha were being provided by the content provider. It's content providers are very prestigious educational institutions like IITs, UGC, CEC, IGNOU, NCERT, and NIOS. Every day, at least 4 hours of fresh contents on SWAYAM PRABHA is released by its content provider which is uplinked by BISAG (Bhaskaracharya Institute of Space Applications and Geo-Informatics). A program is re-telecasted at least five times every day so that anyone can take advantage of their time. How to Access Swayam Prabha 32 DTH channels? 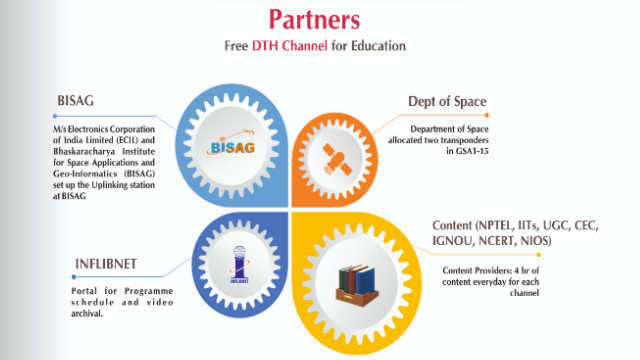 The subscribers of FREE DISH, DTH service of Doordarshan, can view these Educational channels using the same SET TOP BOX and TV. No additional investment is required. You will need to set the following parameters in your Set Top Box. You can search the channel number 2001 or beyond to watch the SWAYAM PRAHA channel on your DISH TV. Can I access SWAYAMPRABHA Channel Online from Website? INFLIBNET has developed a web portal for Swayam Prabha. The web portal swayamprabha.gov.in has an archived of telecasted videos which can be accessed online any time. You can register yourself on Swayam Prabha where you can find information on the current and the upcoming programmes lists and time table. One more benefit of Swyamrabha registration is that you will get the information about the upcoming program from the SMS. INFLIBNET center has also developed an app of SWAYAMPRABHA. You can download it from the Play store. All the current and the upcoming programmes lists and time table can be viewed on the app. You can also watch telecasted videos as archived. But my honest opinion is that SWAYAMPRABHA app is not satisfactory right now. The app is very slow loading, buggy, sometimes unable to log in. The SWAYAMPRABHA app may be very useful for that learner who wants to learn independently but INFLIBNET has a need to make a better UI and bug fixes and need to do to make a good SWAYAMPRABHA app. Can I Get Certificate from SWAYAM PRABHA Online Courses? No. Swayam Prabha only broadcasts academic courses. If you want to get the certificate then register on SWAYAM PORTAL. SWAYAMPRABHA Channels 01-10 are managed by CEC/UGC, New Delhi. These channels broadcast high-quality, visually and graphically enriched content of Languages, Literatures, Social Sciences, Sciences, Laws, Economics and Commerce, Management, Library Sciences, etc. to the undergraduate and postgraduate students of India. SWAYAMPRABHA Channels 11-18 are managed by NPTEL. These channels are dedicated to technical and engineering related subjects. Video lectures are related to undergraduate and graduate students. The lectures are recorded through the NPTEL and Swayam platforms and are also available online, through NPTEL. The lectures are delivered by the faculty of the different IITs, and of IISc. SWAYAMPRABHA Channels 19-22 are managed for high school students by IIT Delhi and is called IIT PAL. These channels are dedicated to teaching and learning for Mathematics, Biology, Physics, and Chemistry for class 11th and 12th standard students. The lectures on these channels have been delivered by professors of different IITs and also by some teachers of Kendriya Vidyalaya. SWAYAMPRABHA Channels 23-24 are managed by IGNOU, New Delhi. These channels provide curricula and courses like Arts and humanities, Vocational and Agriculture that meet the educational requirements of lifelong learners. SWAYAMPRABHA Channel 25 is managed by the NIOS, Noida. The channel provides D.El.Ed. (Diploma in Elementary Education) courses for in-service untrained teachers working in Elementary schools of the country. SWAYAMPRABHA Channel 26 is for Open Universities Programs managed by IGNOU, New Delhi. SWAYAMPRABHA Channels 27-28 are also managed by NIOS, Noida. These channels provide educational courses on Secondary and Senior Secondary level for class 9th, 10th, and 12th. SWAYAMPRABHA Channel 29 delivers lectures of PG Subjects and YOGA managed by UGC- INFLIBNET, Gandhinagar. SWAYAMPRABHA Channel 30 named Gyanamrit managed by NIOS offers educational Courses in Sign language and the bilingual version at Secondary level and Yoga course. SWAYAMPRABHA Channel 31 broadcasts School and teacher education lectures and it is managed by NCERT. SWAYAMPRABHA Channel 32 is jointly managed by IGNOU and NIOS and fully devoted to teacher education. SYAWAM PRABHA DTH Channel 32 VAGDA broadcasted D.EL.ED. (Diploma in Elementary Education)course lectures for In-service Untrained teachers in 2017-19. There were 12 Lakh plus untrained teachers who were registered on Swayam and also benefited from Swayam Prabha DTH. According to the above specifications, we can say that Swayam Prabha 32 DTH channel is a great initiative of the Indian Government. It aims at enabling the target group to enhance and capable to learn all the things at home without any cost. At present, on Swayam Prabha, from basic education to secondary, senior secondary, higher education programs, as well as courses such as engineering are broadcast which is very useful for any student. If you are students make sure to start watching the broadcast of 32 DTH channels for a good quality full academic study materials from today. We hope this will absolutely help you. If you have any questions or suggestions related to this article, please make a comment, and share it with other friends as well. "SWAYAM PRAHAHA is the best way to get the courses of SWAYAM from anywhere anytime. SWAYAM PRAHAHA's 32 channels are completely free of charge, anywhere, where the cable is not reached, where nothing has been reached, where the internet is not properly received, this is the best way. Prime Minister has always said, “Use SATELLITE for education".